This 2 bedroom 1 bath condo is located on the 2nd floor of the Bayberry Condominiums. The living room has a trundle-style sofa, LCD TV, And DVD. The fully-equipped, eat-in kitchen has a dishwasher, range, microwave and full size refrigerator. The master bedroom has a queen sized bed and LCD TV. The second bedroom has a full/twin bunk bed. The unit is 530 square feet. There is cable TV, comfortable, modern furniture, pillow-top mattresses, flat-screen TVs, and DVD. It is open year round and has central air/heat, cable TV, common washer & dryer (coin op) and parking for 1. The Bayberry’s third floor contains a large common-area sun deck to enjoy viewing the ocean, boardwalk, & fireworks on Friday nights. There is an in-ground pool with a small shallow area for toddlers. The Bayberry is located at 23rd & Surf Avenue in North Wildwood. It is beach block and just steps away from Wildwood’s famous 2-mile boardwalk. The boardwalk has five amusement piers, two large beachfront water parks, the tallest Ferris wheel on the East Coast and more rides than Disneyland. The closest Morey’s Pier is at 26th street and Wildwood’s battery-operated tram car is available for a ride to the Convention Center, south end of the boardwalk, or just to go sightseeing. We love Wildwood and vacation here every year. My husband an I met years ago in Wildwood and now continue to enjoy spending time at the free clean beaches building sandcastles, riding waves, playing sports and relaxing in the sun with our children. We also enjoy the morning bike rides on the boardwalk, amusement rides, waterparks, arcades, Friday night fireworks, mini golfing and strolling on the boardwalk. I hope you and your family enjoy Wildwood as much as we do. 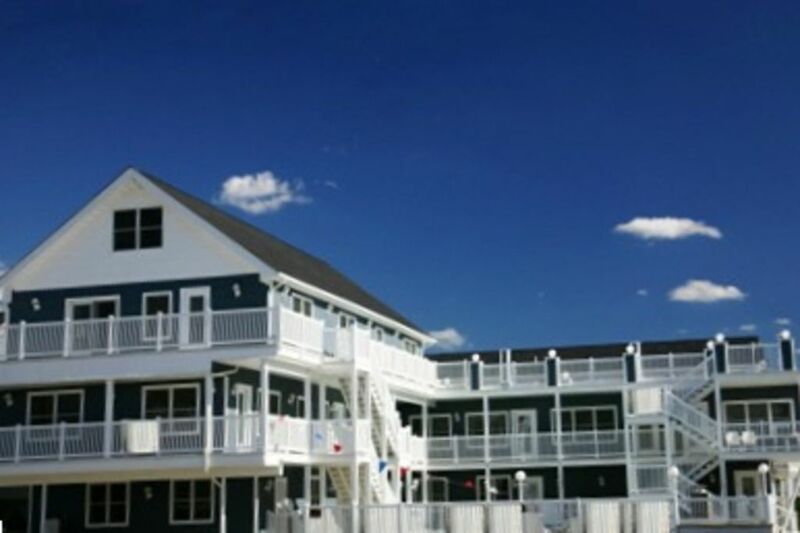 Our condo is a perfect location to walk to the beach, the boardwalk, the rides and for food. Just park your car and enjoy! Pros: The location was very convenient to the beach and boardwalk and the amount of space was perfect for a small family. Cons: Despite the listing saying pets are not allowed, there was dog hair everywhere in the unit. We do have a dog who will come down with us on occasion but I wish you would have notified us if there was pet hair. We were under impression unit had been cleaned between rentals. We stayed there in July 2017. The place was very clean and nicely located 1 block from the beach and the boardwalk. The pool was also vey clean and the kids loved it. I would recommend this place to anyone. Just a two minute walk to the boardwalk, i.e. very close to all the rides and the beach. A large ACME grocery store is a few blocks away. Sitting on the rooftop is a nice way to spend the evening. Dawn (the owner) responded fast to my questions (not many). Only minus: The A/C in the one bedroom is rather noisy. It woke my wife up several times. Clean, perfect sized place for a family of four w/ 8 and 10 yr old! Wildwood is the KING OF ALL BOARDWALKS on the Jesey Shore. My family was there for a long weekend and absolutely loved this condo. Walk to boardwalk and beach, perfect location to rides, arcades and waterpark. We didn't move the car once in 4 days!!! It was my children's dream. Great pool for kids and other tennants hanging out there were friendly and welcoming. The place was spotless and my kids really enjoyed the bunkbeds and flat screen TV. I would strongly reccommend this place as an alternative to local hotels and motels. ENJOY!!!!! My wife and I with our 2 children (7 and 4) had an absolutely great time while staying at this condo. Meticulously clean, close to the beach and boardwalk with a quiet pool... highly recommended. The new owner Dawn was very nice and communicated quickly when we accidently left an item. Definite 5 star recommendation without hesitation.